When Quiet, Please first came out, people who handled buying things for people like Brad Pitt and George Clooney all came knocking and asking to have copies to look at. Nothing obviously came of any of this, but it was nice to be noticed. 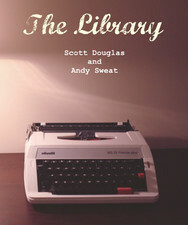 Shortly thereafter, I began working on a script for a possible TV pilot based loosely on the book with Andy Sweat. This also was shuffled to no avail around studios—such the life of most TV pilots, I’m afraid. As of now, the script is in the hands of no one but Andy and I. You can download and read a free copy at the link below. Enjoy!